Posted 12.09.2016 at 04:09 in blog by admin / Comments Off on What Should I Do if I Knock Out My Tooth? Your front teeth constitute the most important component of your smiles and are visible during talking, eating and laughing. Their foremost location in the mouth makes them most susceptible to damage, knocking out and fractures during blows, falls and accidents in your daily life. 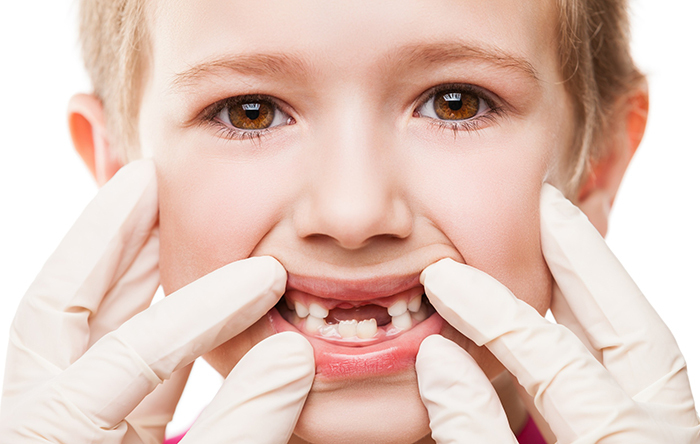 This danger becomes many folds if you or your child has proclined front teeth. Young children and teenagers are more prone to undergo these incidents during playing in the ground or in contact sports at school during the leisure hours. Get in touch Albuquerque New Mexico Dentists Dr, William C. Gardner. Sudden fall during running or blow on the teeth transmits greater impact force sufficient to knock out the tooth as a whole known as avulsion or fracture significant outermost tooth enamel and even, the inner dentine portion in few cases. Knocking out of milk teeth may not pose serious threat to the overall growth and development of your child but it can have psychological and cosmetic side effects in the childhood. However, avulsed permanent tooth is considered to be a dental emergency and requires specialist dental health care management. 24 Hours – Albuquerque New Mexico Dentists Dr, William C. Gardner. Your 24 hours emergency cosmetic & restorative dentist Dr William C Gardner at NM Family and Cosmetic Dentistry PC advises you to take certain necessary on the spot measures followed by immediate visit to the dental office in order to save your or your child’s tooth for long term restoration of smiles, chewing, eating and biting functions for ensuring healthy lifestyle. Get in touch with Albuquerque New Mexico Dentists Dr, William C. Gardner. Q. WHAT IS TOOTH AVULSION? A. Knocking out of your tooth as a whole from the socket bone following sudden blow or impact force due to accidents, sports trauma and falls is known as tooth avulsion. So, it needs treatment immediately. Q. IS IT POSSIBLE TO SAVE MY TOOTH ONCE IT HAS BEEN REMOVED FROM THE SOCKET BONE AS A WHOLE? A. Yes. Your tooth can be saved easily if you act calmly and follow certain instructions provided to you by your dentist on the phone. Q. WHAT SHOULD I DO IMMEDIATELY AFTER TOOTH AVULSION? • Delayed appointments decrease the chances of your tooth’s survival. Q. WHAT HAPPENS AT THE DENTAL OFFICE? Q. WHAT ARE THE CHANCES OF SAVING MY TOOTH? A. High chances of survival is common and depends upon these factors. If you have cosmetic defects in your teeth making your smile less pleasant owing to decayed, missing, crowded, crooked, mal-aligned or mal-posed teeth, you can visit your 24 hours emergency Albuquerque New Mexico dentist Dr William C Gardner at NM Family and Cosmetic Dentistry PC who is available throughout day and night and focuses upon best solution for improving your dental and oral health conditions. Get in touch with Albuquerque New Mexico Dentists Dr, William C. Gardner.